I want to talk about ending a life. Can you do it? Are you ready to make that decision? Are you ready to pull the trigger? As we've written already in articles like "Impossible Expectations", being a concealed carry gun holder carries a set of responsibilities. Every time I check my hadngun before I carry it, the thought goes through my head that I might have to use the weapon in self defense and potentially end a life. Never draw a gun unless you intend to shoot. Never shoot unless you intend to kill. I am not an expert, but I think these are two very important guidelines for anyone with a conceal carry permit. If you have to draw your weapon then it should only be in a situation where you are ready and willing to shoot and shoot to kill. If you are not to the point in an altercation where you are so scared for your life that you are willing to use a lethal response then you weapon should stay in your holster. This is something that I believe a lot of people who have their conceal carry permits do not realize or understand. I am afraid that a lot of people, especially those who are new to the gun culture, do not have a complete understanding of this concept. The simple fact is that, if you draw your weapon to scare or wound, then you dont need to be drawing your weapon; or, if you draw your weapon, it should only be to pull the trigger and put three rounds into the bad guy. End of story. If you carry a weapon and think that you can use it to scare a bad guy away or wound them but not kill them, you are, in my opinion, fooling yourself and it will most likely get you or someone you care about hurt or killed. I hope I am wrong, but I am afraid that there is a segment of the conceal carry culture that has not really considered the implications of just carrying a weapon or the implications of using their weapon in self defense and the full repercussions of a lethal or even a non-lethal outcome. If you shoot someone, there will be legal, psychological and possibly physical consequences. We can practice at the range weekly, but we need to also be just as mentally ready to respond to a threat as we are physically ready. If we are not ready to pull the trigger, put two to the chest and one to the head and accept the consequences of that action then we are not ready to carry a concealed weapon. Everyone who is part of what they call the Gun Culture needs to do more to mentally prepare people to carry a concealed weapon and to educate permit holders of the implications and consequences involved. I think we all would benefit from more information, education and dialog about this topic. 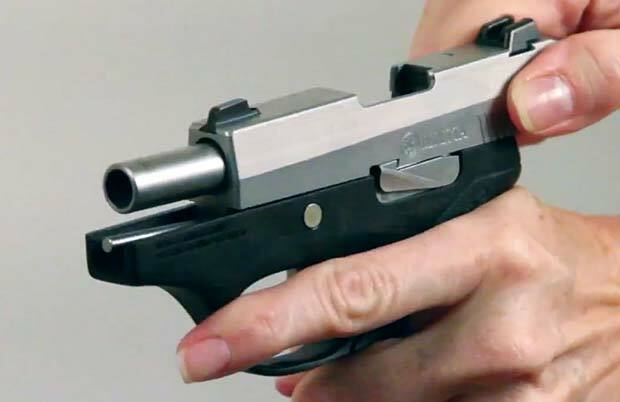 There are quite a few ranges and companies that offer real-life scenario classes that run conceal carry permit holders through the wringer with scenarios that show them how you will really respond to a threat versus how you are supposed to respond. I have not been through any of these classes. I hope I get a chance to some day. I think that they would be very beneficial. So... are you ready to draw you weapon and kill the mugger who just shoved a pistol in your spouses face demanded that you give him your wallet? Is that life worth the $48 you are carrying? What are the chances of them shooting your spouse if you draw your pistol? Will the mugger shoot you anyway if you hand over your wallet instead of drawing your gun? Can you live with the fact that you killed someone? Have you even thought about it?